The Washington Wizards are at long last open to breaking up their core of Bradley Beal, John Wall and Otto Porter. But, like, what does that mean? Though the Wizards' primary motivation in prospective deals is sort of unknown, Hardwood Knocks has 10-plus trade ideas aimed at helping them escape salary-cap purgatory and starting over. Let's roll. 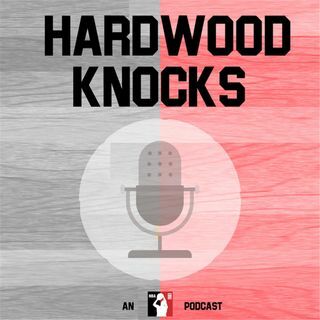 As always, please subscribe to and rate Hardwood Knocks on iTunes. You can also find us on basically anywhere podcasts are offered. And as ... See More 50 Cent's biopic suggests: Follow Andy Bailey (@AndrewDBailey), Dan Favale (@danfavale), the show (@HardwoodKnocks) and NBA Math (@NBA_Math) on Twitter or die trying.